These orbs were captured in one night, under my aunt’s carport. Based on Wikipedia source, the term orb illustrates unanticipated, typically circular artifacts that occur in flash photography, especially common with modern compact and ultra-compact digital cameras. 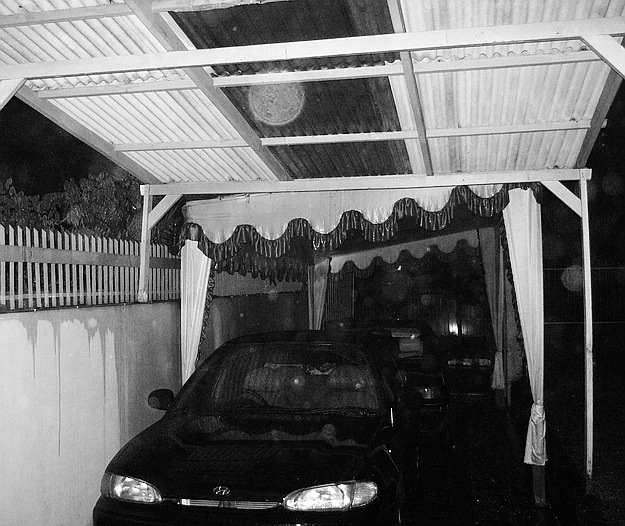 Others also call orbs as backscatter, orb backscatter, or near-camera reflection. The Paranormal have different perception. Orb backscatter has been broadly interpreted as a highly variable range of paranormal phenomenon without confirmable causation — including invisible spirits, auras, angels, ghosts, energy fields, psycho-energetic artifacts, and energy balls. Your orb photo looks almost like a full moon. Thanks for the explanation. I like the second interpretation, it's more mysterious! Maybe it's sign of badluck. I love when this happens...especially the "rainbow" orbs...I've heard them called angels by some...maybe it helps to believe in angels we can see...and certainly the scientific explanation makes sense...either way, they are lovely when they appear! oh yeah, i think i am more aware of the paranormal explanation than the scientific one, lol! that's why we get scared when we find orbs in our photographs..
Great affect in this shot.